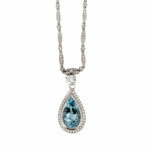 4.41 carat pear shape aquamarine and diamond 18 karat white gold pendant necklace. 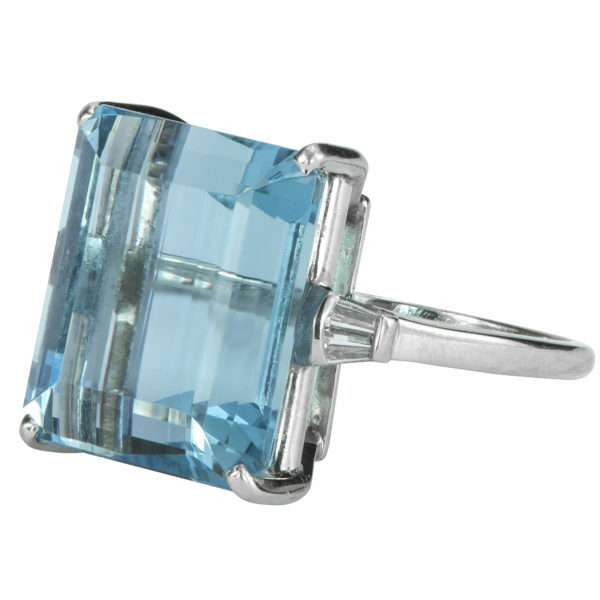 The aquamarine is bezel set with a single row of round brilliant diamonds surrounding, suspended from a 0.50 carat round brilliant diamond. The pendant is detachable from the necklace that has single cut diamonds throughout. 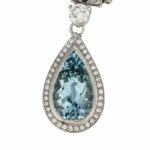 The total diamond weight for the pendant and necklace is 3.22 carats.